Hooray! Today is August 10th, which means it is time for the annual Picture Books 10 for 10 event (#pb10for10). Teachers and educators are challenged to choose and share their 10 favorite picture books, and the posts will be aggregated by Cathy of Reflect and Refine and Mandy of Enjoy and Embrace Learning. 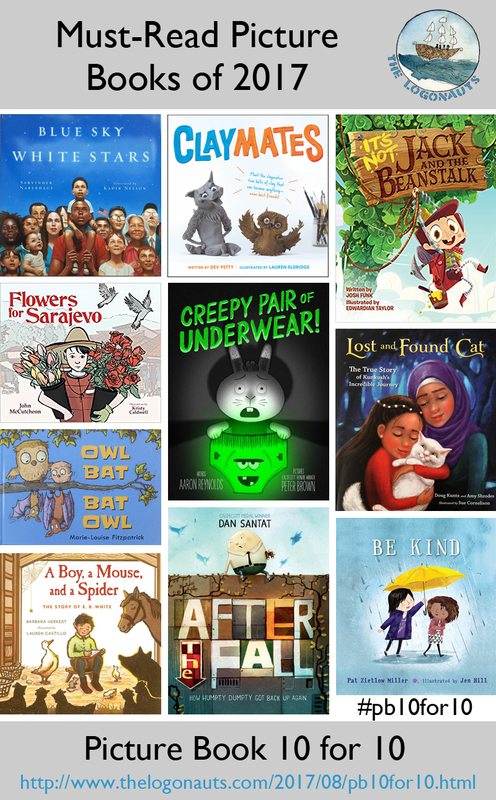 I had the awesome opportunity at nErDcampMI last month to peruse a wide range of brand new (and upcoming) picture books. Below are some of my newest favorites for books published this year (*ok, and one for next year). Enjoy! 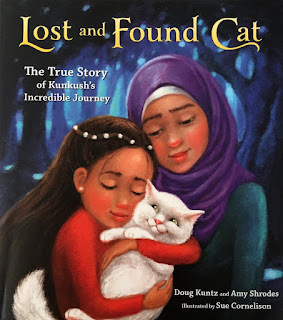 Jan. 31: Lost and Found Cat: The True Story of Kunkush's Incredible Journey by Doug Kuntz and illustrated by Amy Shrodes. This is a lovely addition to the canon of refugee literature, as an Iraqi family flees their home heading for Europe via Greece. Endnotes explain how the author discovered this story and worked with the family to share it with the world. 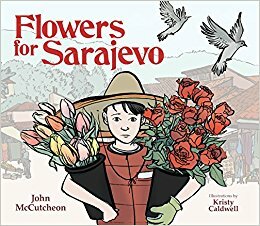 April 1: Flowers for Sarajevo by John McCutcheon and illustrated by Kristy Caldwell. Another inspired by a true story, this picture book shares a powerful moment in the Bosnian War through the eyes of a young boy who witnessed both the destructive power of war and the transformative power of music. 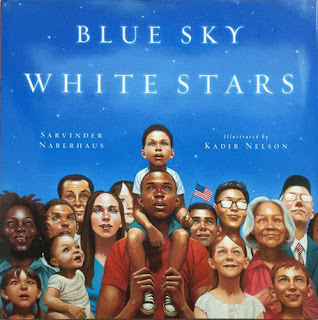 June 13: Blue Sky, White Stars by Sarvinder Naberhaus and illustrated by Kadir Nelson. A must-read. I could take nearly any page in this book, frame it, and hang it proudly on my wall. This nearly-wordless book is a testament to a positive vision of America, its flag, and the true meanings of patriotism. 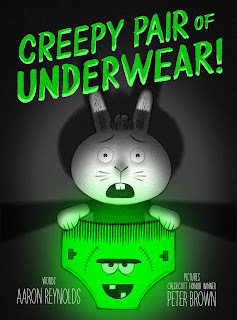 Aug. 15: Creepy Pair of Underwear! 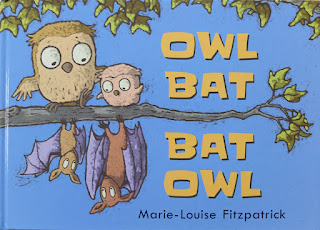 by Aaron Reynolds and illustrated by Peter Brown. Fans of Creepy Carrots! will be waiting with baited breath for this sequel. Personally, I actually found this one far funnier, perhaps because I was already willing to suspend disbelief based on the first book. Some very laugh-out-loud moments. 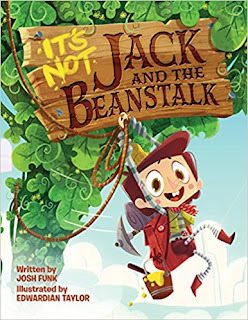 Sep. 19: It's Not Jack and the Beanstalk by Josh Funk and Edwardian Taylor. And speaking of laughing out loud, I had the chance to help perform a read aloud of this book with author Josh Funk at Nerd Camp last month. This will be a great one for Readers' Theater or reading aloud in small groups, as Jack and his fellow characters try to take control of their story back from a demanding narrator! 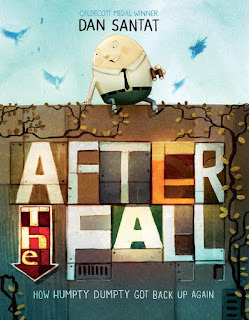 Oct 3: After the Fall (How Humpty Dumpty Got Back Up Again) by Dan Santat. What if things didn't turn out quite so glum for Humpty Dumpty? How do you get yourself back up after a bad experience (or a bad fall) and start again? A great lesson in resilience. 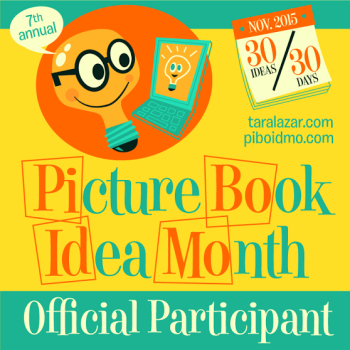 Oct. 24: A Boy, A Mouse, and A Spider: the story of E. B. 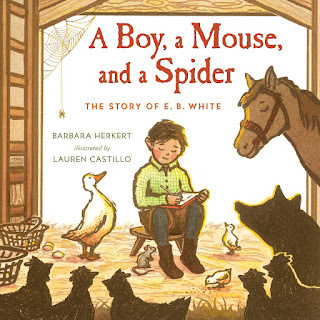 White by Barbara Herkert and illustrated by Lauren Castillo. I only got a peek at the F&G of this one, but it's sure to be a charmer. Some Writer! 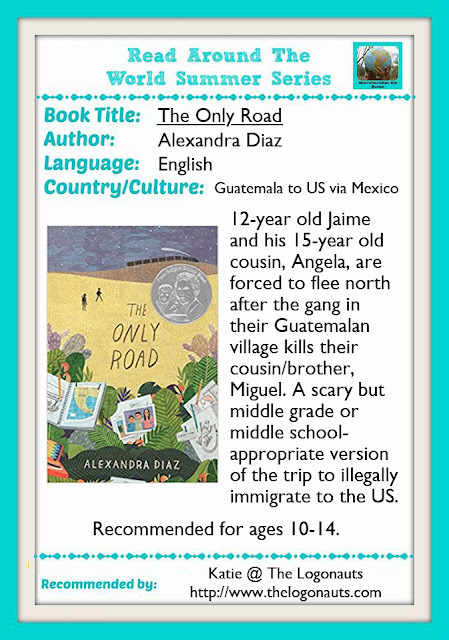 by Melissa Sweet is still one of my favorites from last year, but I love the idea of being able to pair it with this book for younger readers or those looking for something more read-aloud length. 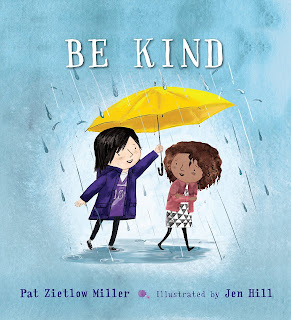 Feb. 6: Be Kind by Pat Zietlow Miller and illustrated by Jen Hill. This one is a must-have for any classroom or library. 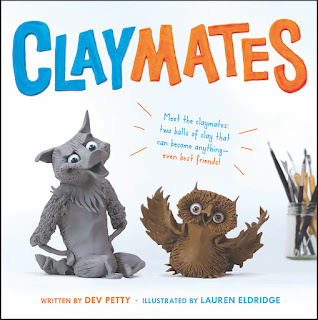 It addresses issues of bullying and bystanders but in a much more complex and meaningful way than many books for kids. Truly we need the power of this book's message about how individual actions (even if they may seem small) can have a big impact. Looking for more #pb10for10? 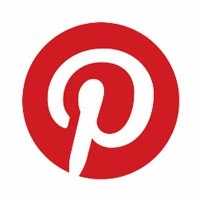 Check out #pb10for10 on Twitter or click the #pb10for10 tag to see my previous years' posts. We hope this community serves as a resource for parents, teachers, librarians, publishers, and authors! Our next linkup will be Saturday, September 2nd and the first Saturday of each month. 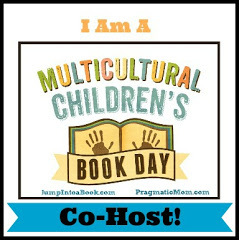 The most-clicked post from the previous #diversekidlit was What is Family? 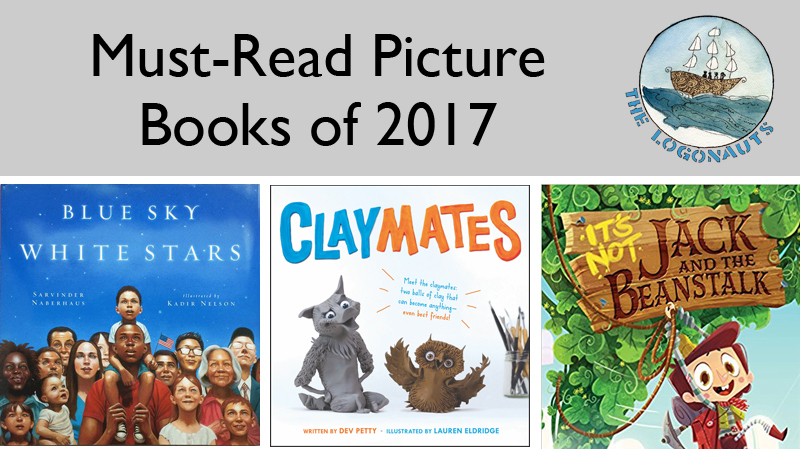 18 Picture Books about Loving Families in All Forms from Barefoot Mommy. This post includes new books as well as old favorites including multigenerational, multiracial, LGBTQ, foster, adoptive, and divorced families.